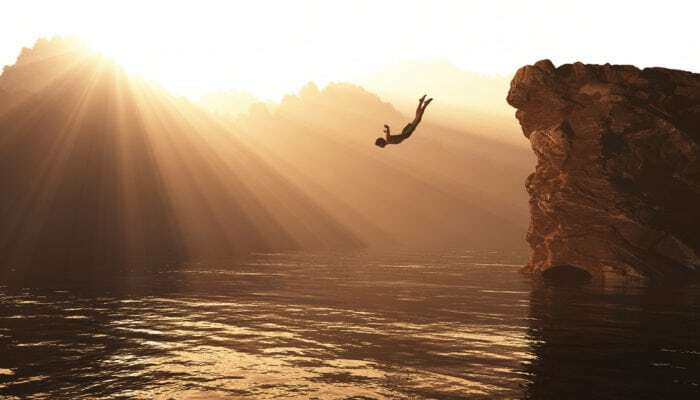 Even with our altcoins optimism, there seem to be no demand to buoy further higher highs. We can rightly see that in Stellar Lumens, Litecoin and IOTA charts. Most noteworthy from all altcoins under our review is IOTA which is simply ‘flat” despite announcement of IOTA Hub. This hub allows for easy exchanges integration and listing of IOTA. By all accounts that was bullish but as long as prices are below $1, we are neutral but with a heavy bearish leaning. Dan Larimer, the CTO at Block One is proposing new ways of better improving network efficiency, network resource redistribution and utilization. As it stands, the EOSIO network has no better way of resource distribution which in turn opens channel for retail or small scale users to spam the network or even lock up resources. Dan is proposing EOS token holders to lend out their resource and allow others to have access to bandwidth without the risk of losing their initial capital. From a top down approach, EOS is inside a $2 trade range and what’s conspicuous (in the weekly chart) is that clear bearish engulfing pattern after last week’s close. 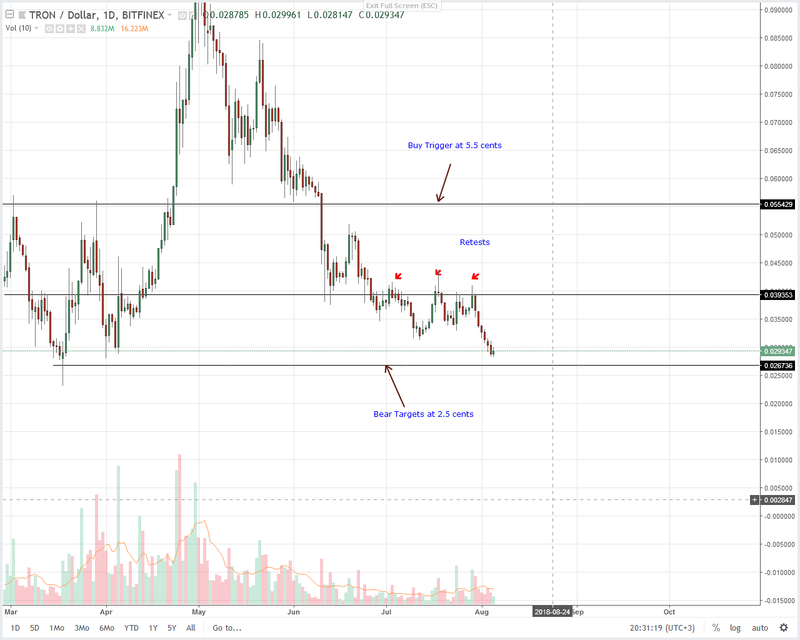 It could set the precedence, inviting sellers now that EOS has been stuck within a tight trade range in the past four days or so as they hug the main support line at $7. 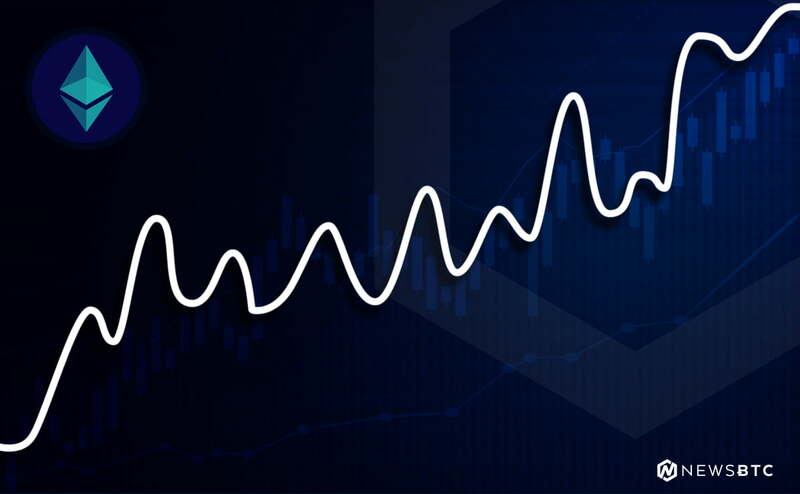 In any case, any high volume break below $7 means the validation of a bear break out pattern set rolling by June 22 bearish engulfing pattern as laid out in our past EOS technical analysis. Before that happens, we shall take a neutral stand but with a heavy neutral leaning. Our small size sell positions set in motion after July 30 break below $80 are live. 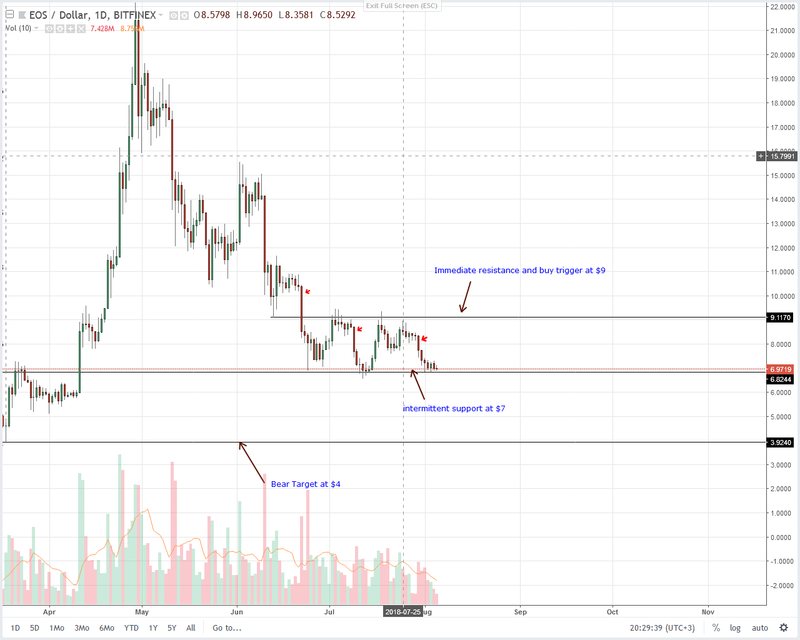 Even though the general plan here as set out in our prior Litecoin (LTC) trade plans is for a convincing break below $70 and validation of June 10 triggered bearish break out trade pattern, traders need to stay solid despite Aug 4 rapid depreciation. Litecoin is actually well within our “neutral” $20 range with lower limits at $70. As such, before we commit waiting for clear signals is but prudent. It’s worth noting that week over week, Litecoin is down 12 percent. As such, with last week’s strong bears, there is a high chance that sellers might break below $70 now that Bitcoin is also falling. 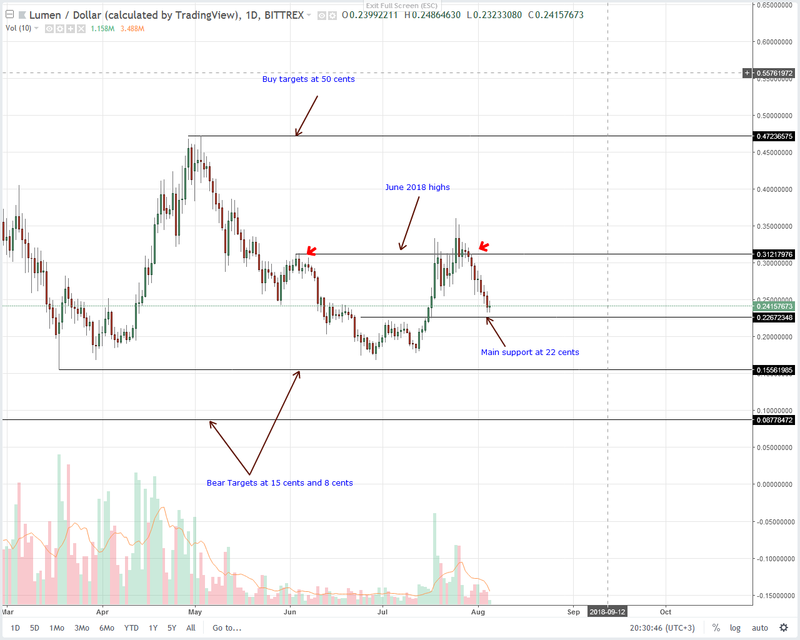 As far as Stellar Lumens (XLM) price action goes, our longs are valid in line with our last Stellar Lumens (XLM) technical analysis. Then we said 22 cents is our immediate support and any breach cancels our two week bullish position. Because of this, we need strong market involvement by buyers to reverse Aug 4 and 5 losses before we suggest buys. If not and we see a dip below 20 cents or June and July lows, then we recommend selling on pull backs with targets at 8 cents. So far, so good and our Tron (TRX) trade plan is firm as it gets. First, not only are our sells active but with every lower low, our first target at 2.5 cents is likely to be hit. Remember, this is coming at the back of Justin Sun’s bullish statements saying their VM would compete with that of Ethereum’s in days to come. Nonetheless, bearish events of last week pour cold water on this. 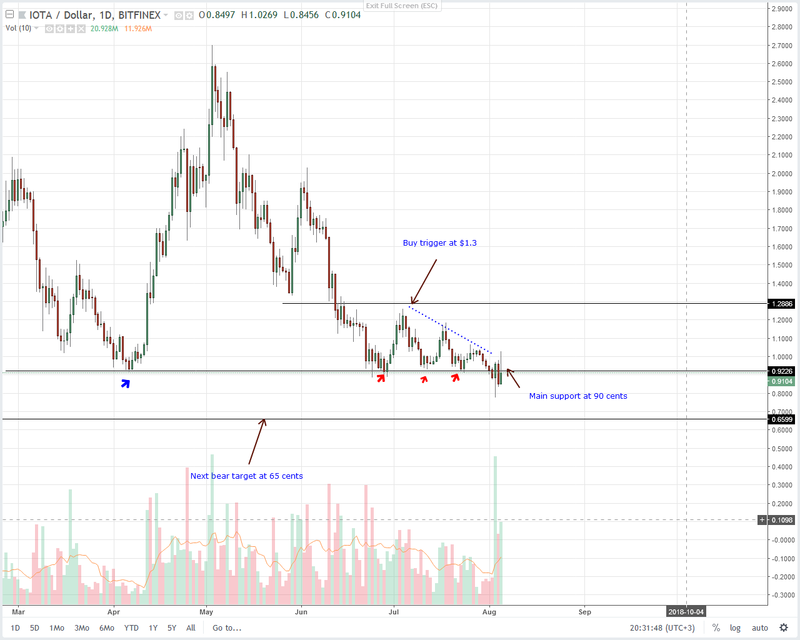 Should there be a confirmation of those TRX sellers this week, then Tron (TRX) might exceed our bearish projection and dip to 2 cents. After announcement of IOTA Hub, prices jump 20 percent. IOTA Hub is an open source solution uses a gRPC API and the foundation said it will solve all the network problems service providers as crypto exchanges faced. It’s a milestone for the blockless development because all service providers have to do is connect to the Hub and within weeks investors would be buying the coin. Contrary to our expectations, IOTA buyers didn’t find enough moment to edge past $1 or even July highs days after the announcements. Instead, what we do have is a bearish pin bar but encouraging enough prices are above 90 cents. 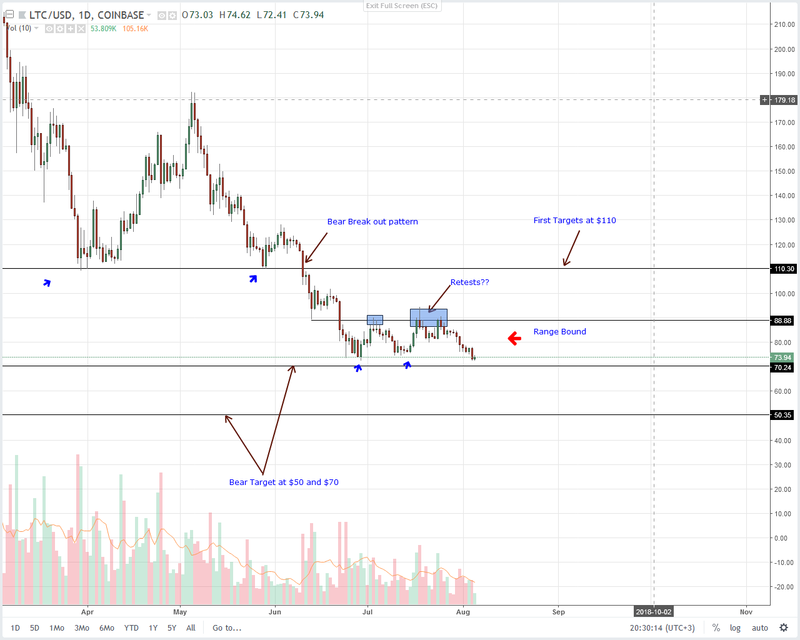 From previous IOTA trade plans, 90 cents remains a key anchor in our analysis and for conclusive sell or buy decision we must see a whole bear candlestick closing below 90 cents to warrant sells. So, considering the past three days events, we are still neutral with a heavy bearish skew on IOTA.